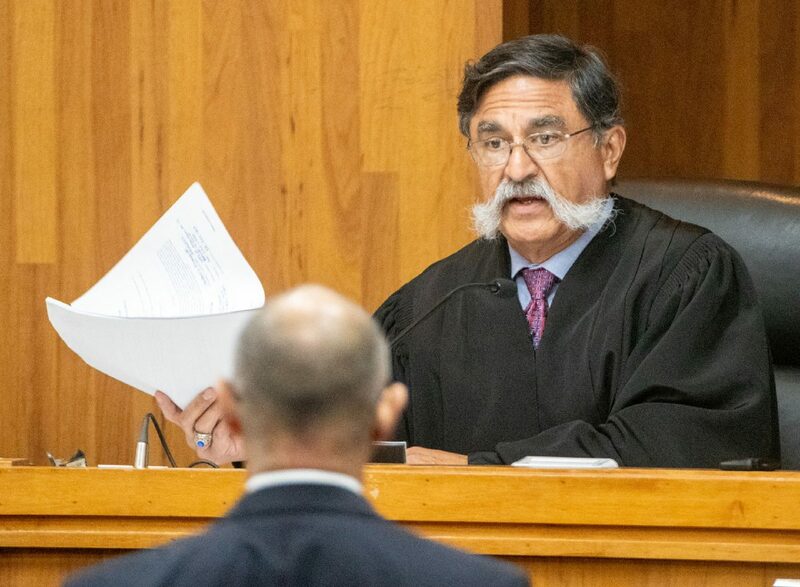 Defendant Gilberto Escamilla looks back before the start of a sentencing hearing Friday, April 20, 2018, in the 107th state District Courtroom in Brownsville, Texas. 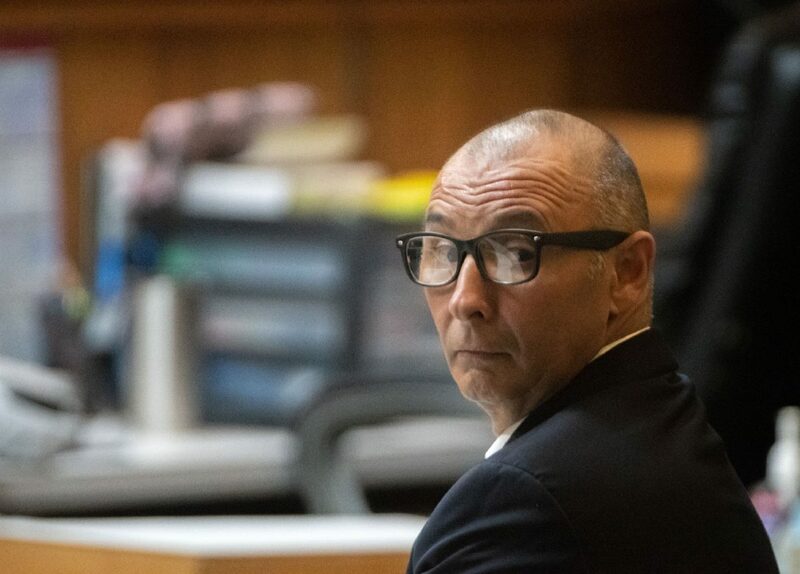 Escamilla entered two pleas of guilty for charges related to the theft of over 1-million dollars of meats he stole and resold over two years through his position with Cameron County. A former Cameron County juvenile detention center employee said he started out stealing small amounts of fajitas bought with county funds, but his scheme soon ballooned, spinning out of control. 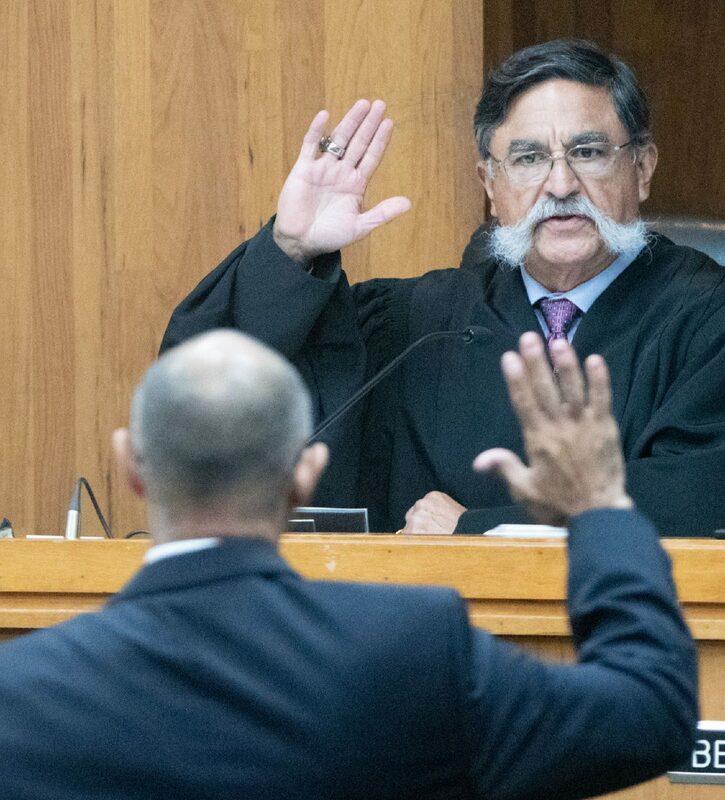 Escamilla pleaded guilty Friday to theft by a public servant in front of visiting State District Judge J. Manuel Bañales, who sentenced the man to 50 years in prison. The judge dismissed an additional theft charge after the sentencing. Members of the Cameron County District Attorney’s Office Special Investigations Unit arrested Escamilla last year after a driver from Labatt Food Service in Harlingen called the detention center’s kitchen to let employees know their 800-pound delivery of fajitas arrived. Minor inmates at the DarrelB.HesterJuvenileDetentionCenter are not served fajitas. The total value of the fajitas, which were stolen during a nine-year period, was $1,251,578. That figure does not include the brisket, pork chops, sausage and various types of chicken Escamilla also admitted to stealing, court testimony revealed. Cameron County Assistant District Attorney Peter Gilman asked Bañales to sentence Escamilla to five decades in prison because of the amount of county money stolen, because Escamilla was a public servant and to send a message, while Escamilla’s attorneys asked Bañales to consider probation or at most five years in prison, adding that the man should be given a chance to repay the stolen taxpayer funds.